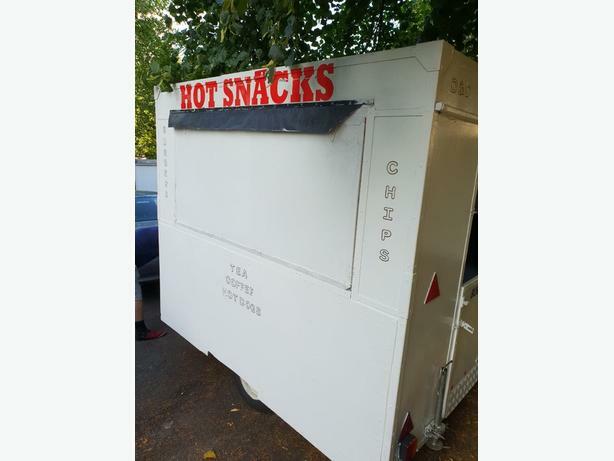 Food / burger trailer in very good condition with wipe clean interior surfaces and side serving hatch. Can be connected to mains electrics or a generator. Fitted with two work surfaces. The trailer is 2.9m long, 1.8m wide and 2.3m high.